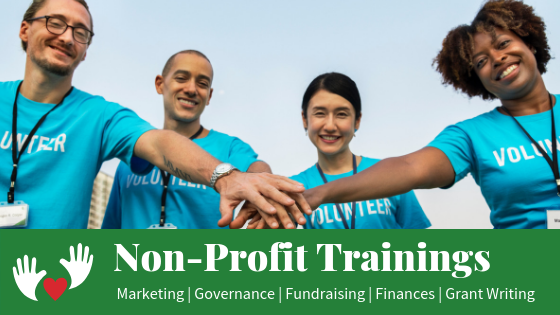 Non-Profit leaders, especially executive directors, have to wear many hats in the day-to-day management of their non-profit and we knew there was a big need for this type of training in the community. Rarely does a new leader come into this position with all of these skills in-hand so by offering this series of workshops we can better support local area non-profits, and ensure its leadership has all the skills they need to successfully lead their organization. The full schedule of workshops is below and registration is required for each training workshop to be taken. You can also Click Here to download the information sheet for more information.